Nick Howard has been a professional poker coach for eight years. As a former RunItOnce.com coach, he became known for teaching practical simplifications of well-balanced play. I️n 2015-2016, he documented a notable amount of success on Ignition High stakes in his Run it Once Blog “Achieving Higher Balance,” where he developed many of the independent learning strategies he uses today. 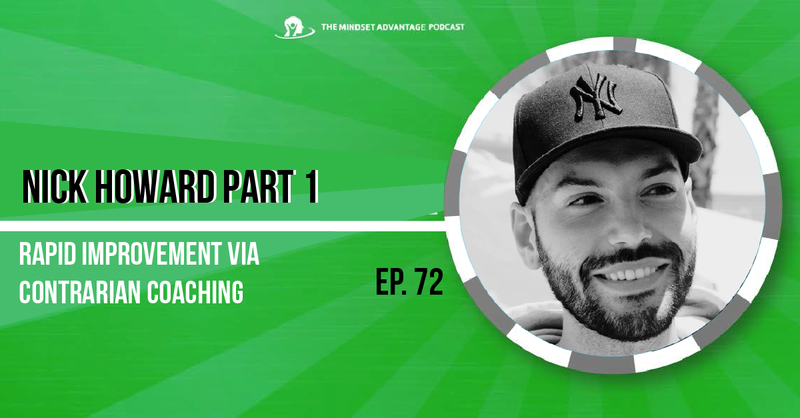 Nick Howard is the founder and CEO of Poker Detox, an NLHE training company that launched in May 2016. In its first year, Poker Detox produced three major public courses, and Nick began a side project attempting to train a selection of losing players, using a team-training format. By Fall of 2017, that “losers” team had proven itself successful, and Nick had been able to refine his coaching methodologies to a point where he was ready to expand. Poker Detox now functions as one of the most elite application-based staking companies in the industry, containing a crew of mind coaches and language-optimization experts that work to provide a full support system for students. The company achieved a high enough level of methodology that it became possible to tailor the Detox training system for players of different native languages and even different learning types. The result is a powerful combination of training exercises that highlight the necessary concepts while empowering the learner to choose their path toward integration. Applications for new team members are accepted several times per year, and in 2018 Poker Detox became the first training organization to offer guaranteed salaries to its players. Stop Tilting in Just 7 Minutes? Hi, I'm Elliot Roe... And I Help Poker Players Squeeze Every Ounce Of EV From Their Poker Skills and Abilities. Over 7500 poker players have downloaded my Mindset MP3s to boost their focus on the table and to relax and recover post-session. I have personally worked with hundreds more on mastering their emotions and the tabling and developing the “Pro-Athlete Mindset” needed to be successful into today’s games. Creating a strong poker mindset has been the “secret weapon” of the high stakes elite for years now, and I started this site to bring that edge to any player willing to work on that area of their game. Do You Need Confidence to Win at Poker?